When a school locker fell on Josh Ritcher’s foot while he was working in the art department of a kid’s show, he couldn’t have known that it would lead to a great business idea. Eight years later that idea has become Cinecore, production management software for entertainment content creation. 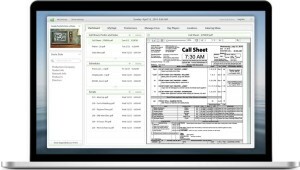 Cinecore is a paperless coordinating tool for production companies and studios to manage all their communication with cast and crew. It is currently being used on numerous independent and feature films and TV shows. Cinecore’s elegant dashboard offers digital file distribution. Productions are now able to upload and manage documents in one place, including call sheets, prelims, schedules, scripts, crew lists, crew announcements and weather info. Files are accessible from any computer with the Cinecore software and iOS device without the hassle of inviting people to a third party file storage program. Unable to continue his normal set decorating duties for a few months back in 2006, Ritcher moved into the production office to do administrative work. There, all the script revisions, call sheets, schedules and coordinating docs that normally would have been spread out in his life began to pile up in one spot on Ritcher’s desk. It was this pile of paper, which he found impossible to ignore, that led to the creation of Cinecore. He went to his friend and colleague, Armen Titizian – who was producing and directing an independent film on which Ritcher was working – with the idea to digitize all the on-set info. Together they founded Cinecore, and developed the project management software that is changing how productions run, making them more efficient while reducing the expense of wasted resources. The production pays a small monthly fee per user, but for the cast and crew Cinecore is completely free. Anyone can download Cinecore software to their desktop and the app to their iPhone or iPad. Once they’ve done this, crew members have access to any file to which they’ve been granted permission from the production company. But Cinecore is more than just for cloud-based file sharing, making it a good alternative to the limitations of consumer-based file storage products like Dropbox. 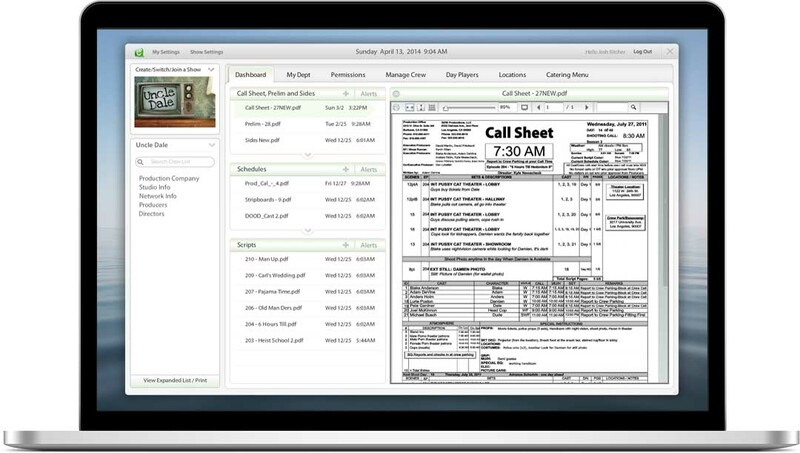 Features include separate fields for call sheets, production schedules and scripts. 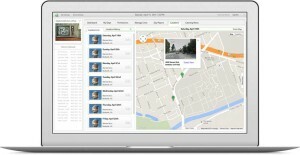 Cinecore has location maps powered by Google, to show shoot and crew parking locations. It has a catering section, where crew can see the menu for the day, and Day Player invites to receive their Call Sheet, production contact and shooting location info. Even the day’s weather forecast at the shooting location is available. And, because it’s standalone software, the crew will have access to vital documents even when they are off-line and don’t have Internet access. Cinecore is scalable, working for small and large productions, solving the flow of information challenges that come whether it’s a five-person production or a large blockbuster feature. It can also be used at film schools, as an organizational tool for the next generation of filmmakers. In 2013, Cinecore was accepted into an accelerator program run by Warner Bros. called Mediacamp, during which the Cinecore team learned about specific studio struggles, talked to TV and feature department members and received advice from its mentors at Warner Bros. about ensuring security. Warner Bros. also made a monetary investment in Cinecore. “Cinecore provides real time context around the creation of our most valuable asset – content,” said Sean Cooney, Senior VP of Production & Post Technology at Warner Bros. and the Cinecore team’s mentor. Given the risk of material being pirated and released, Cinecore had to go through an extensive studio-level security audit as part of the beta testing with Warner Bros. Watermarking sensitive scripts and other documents is one way a production can protect its valuable assets. With Cinecore’s watermarking turned on, any sensitive dashboard document can be customized with a watermark of the user’s name that will show up on screen or printing. The production company has complete control over what any crew member can upload or view, based on their role in the production. File permissions, which are activated via simple radio buttons denoting crew titles, dictate which files a designated crew member has access to. Once these permissions are set, subsequent additions and revisions of files are automatically distributed. Cinecore is free for crew members. Once they have downloaded the app and logged into Cinecore they have access to any show they are on, by toggling between productions. 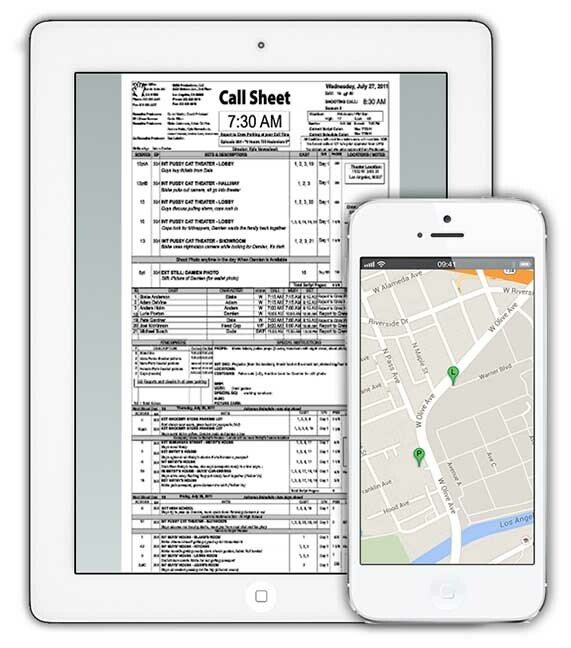 The iOS app allows cast and crew to access their call sheets, schedules, scripts, prelims and crew announcements from their iPhones or iPads. When a new file is uploaded, the crew instantly has access to it. Cinecore has embedded alerts so that, any time a document is uploaded or revised, cast and crew get an email and an alert on their phones. There is no reason for them to be in the software or miss the latest script revision or schedule because they didn’t receive a paper document or email of the changes or new release. And the location maps make it easy for them to find their shooting location and crew parking. Another impressive Cinecore feature that will lead to more efficient communication is the aggregation of the crew list, which is updated every time a new person joins the production. 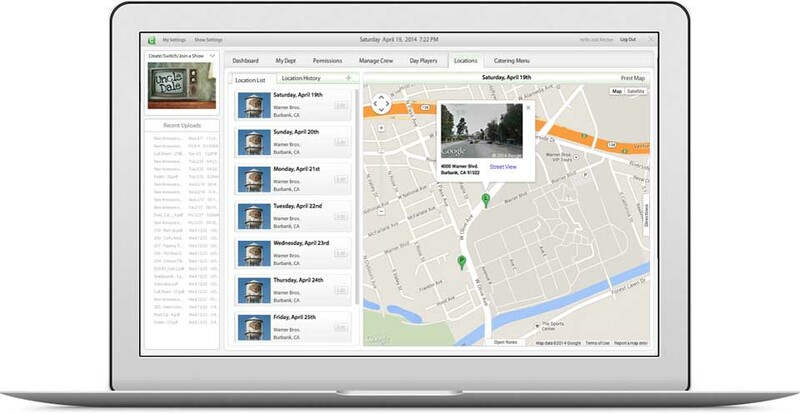 Individuals can update their contact info, with live links that will launch directly into an email program or text. On iOS devices, phone numbers are active links as well. Every list is stored in Cinecore beyond the end of a production, allowing users to retrieve up-to-date contact info for any cast or crew member they worked with on a previous production. Having a school locker fall on his foot is not something Ritcher ever wants to repeat, but he’s happy with what that accident led to. Cinecore is a digital production work flow tool for any size or type of content production. Cinecore is available as free software and a free iOS app that can be downloaded at cinecore.com or iTunes. An Android app is coming soon. For more information and to view demo videos, please visit cinecore.com. Brought to you by Cinecore.